In this post, I am going to explain to us about ICAN stages and courses to write in every stage. Non-Accounting graduates will write the exams in three stages. The are: Foundation, Skills and Professional. Educational Accounting graduates will start from the Foundation level instead of skills level, but they will write only one course (Management Information System) and be exempted from the Remaining 4 courses although they will pay for exemption. 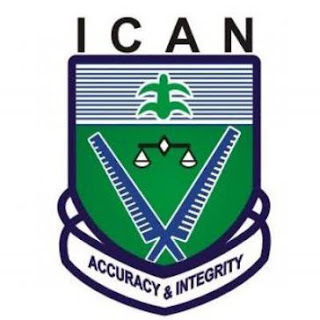 Approximately, ICAN professional courses for non-accounting graduates can be completed in 18 months if the student didn't fail any examination. The Institute of Chartered Accountants of Nigeria (ICAN) was established in 1965. The primary goal of the creation was to regulate the professional conducts and standards for accountants and candidates who are trained to work in this field. NOTE: When a student fail any exam, the student will not moved to the next level. He or she will have to come back and retake the failed paper before moving to the next level. Unlike the Univeristy system where students will move to another level even if they fail some courses. In ICAN, the student have to rewrite the exam and pass before moving on to the next level.